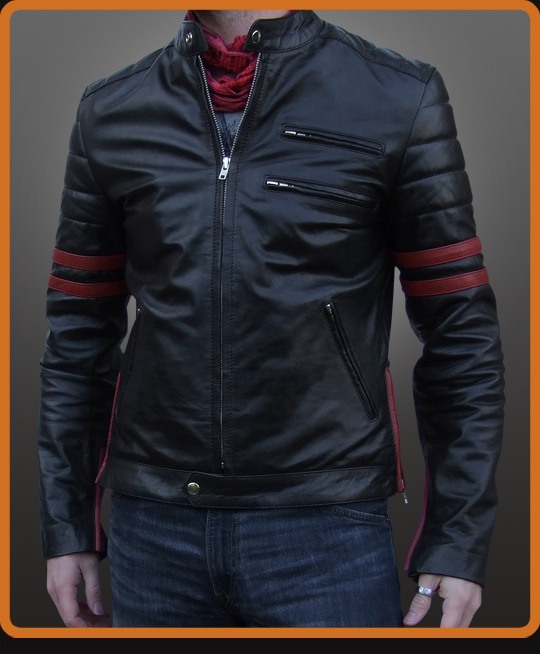 Vintage style leather jacket in a thicker 1.2mm cowhide leather with armor protection. 1970's cafe racer style leather jacket. Red sleeve bands and zip trims. Double YKK zippers on the chest.